Is Andy Crowe PMP Exam Prep Book Worth It? / Is Andy Crowe PMP Exam Prep Book Worth It? 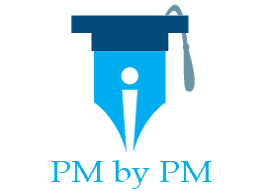 I have written this post to do Andy Crowe PMP 6th edition book review. This book is based on PMBOK Guide 6th edition. It has a very catchy description “How To Pass On Your First Try“. Let me give you an overview of the book, how well it is written, and what are its pros & cons. You can also read my article on Head First vs Rita Mulcahy, Andy Crowe and Kim Heldman that compares this book against other best selling books on Amazon. The PMP Exam – How To Pass On Your First Try? I started conducting professional PMP training in the year 2008. By that time, I had already read a few PMP reference books. But somehow, I had missed Andy Crowe’s PMP book. In fact, till year 2008 I had not even heard about this book. A few months after starting my training career, I was chatting with one of my Engineering batch mates. He shared his experience of passing the PMP exam. I probed him about his preparation strategy. He told me that, he passed the exam by studying Andy Crowe’s book. To be honest, I had not heard about Andy’s book before conversation. I immediately made amends and bought a copy of of this book. I studied the book and liked it instantly because of its simplicity. Since then, I have kept myself updated with latest edition of the book. In the year 2008, Andy’s book was not very popular. But its popularity has grown steadily over the years. Today, this book is one of the Best Selling PMP Exam Prep books. Let us review the book from a critique’s perspective. Andy’s book is written in a very simple but formal & structured language. You will feel very comfortable while reading the book. As you read the book, it makes you feel confident about passing the exam. I think the style of the writing and the language of the book would appeal to most of the readers. The book is true to its name. It is written to make you pass the exam. It is devoid of any extraneous details that might confuse the reader. It gives you the right ingredients to succeed in the PMP Exam. The Chapter 1 of the book provides administrative details about the PMP Exam. It tells the reader what to expect and how to prepare for the exam. The Chapter 14 of the book provides strategies to pass the exam. Chapter 14 also provides tricks and traps to solve the exam questions. I think Chapter 14 is the best part of the book. All the other chapters of the book follow the PMBOK Guide’s structure & flow. Each chapter describes one Knowledge Area, but unlike the PMBOK Guide, the chapters are written in easy and lucid language. Each chapter of the book starts with a small background and introduction. At the beginning of the chapter, the author explains the significance of the Knowledge Area and its relevance to the overall project management. Each chapter has a good coverage of the PMBOK Guide’s processes. The processes and its tools & techniques are explained in a very simple manner. The explanation includes the importance of each process, how it is related to other processes, how & when it is performed during project management, and relevance & description of various ITTOs. Each chapter ends with an exercise. The book has a full-length 200 questions exam at the end. The chapter questions and final 200 questions provide a very good coverage of the PMP topics. However, I found these questions to be somewhat easier than the real exam. It is a simple, concise, to the point, and a well structured book. This book is written in a simple manner, which is easy to follow. Since the structure of this book is same as that of the PMBOK Guide, you can easily study the Guide along with this book. This book makes it very simple to understand the Guide. This book explains the PMBOK Guide processes in a very simple manner. It provides relevance of each process, linkages between different processes and it explains why each process is important for the project management. All the terms of the PMBOK Guide are explained in a short, succinct, and effective manner in this book. There is a glossary of all the important terms at the end of the book, which can be used as a ready reference. Overall the book is completely focused on the Exam. The coverage of the PMBOK Guide is complete. All the concepts are very well explained in the book. However, you would know that the PMP exam goes somewhat beyond the PMBOK Guide. The book does not describe of some of the other exam topics. Even though, end of chapter exercises and final full-length 200 question exam provide a good coverage of exam questions, the questions are relatively easy. There are very few diagrams and explanatory pictures. This may create a problem for visual learners. This book is very expensive as compared to other competing books in the market. Andy’s exam prep guide is a simple to read and easy to follow. This book keeps the explanation simple and is easy to understand. It is a good companion book for the PMBOK Guide. If you are looking for a simple and easy to understand book that has similar structure as the PMBOK Guide, then you should buy Andy’s exam prep guide. In fact, would recommend you to buy All-In-One PMP Exam Prep Kit By Andy Crowe instead of the book. This kit contains, among many things, Andy Crowes’s PMP book, online eLearning course called Insite and flashcards. You can read more about the contents of the Kit in the next section. I believe kit provide far better value than the book. Disclosure: I have not received any compensation (in cash or kind) from the Authors or the Publishers or anyone else associated with the book for writing this article. But this article contains affiliate links – it means that, if you click & buy from these links then, I will receive a small commission. This commission helps me in maintaining this blog for free. However, you don’t pay anything extra. I do not actively use any of these books since I am already certified. But, I recommend only those products that I believe will definitely help the certification aspirants.